Last night I asked google, “is the internet over?” This was the response (be warned if you have little tolerance for internet gore do not click). 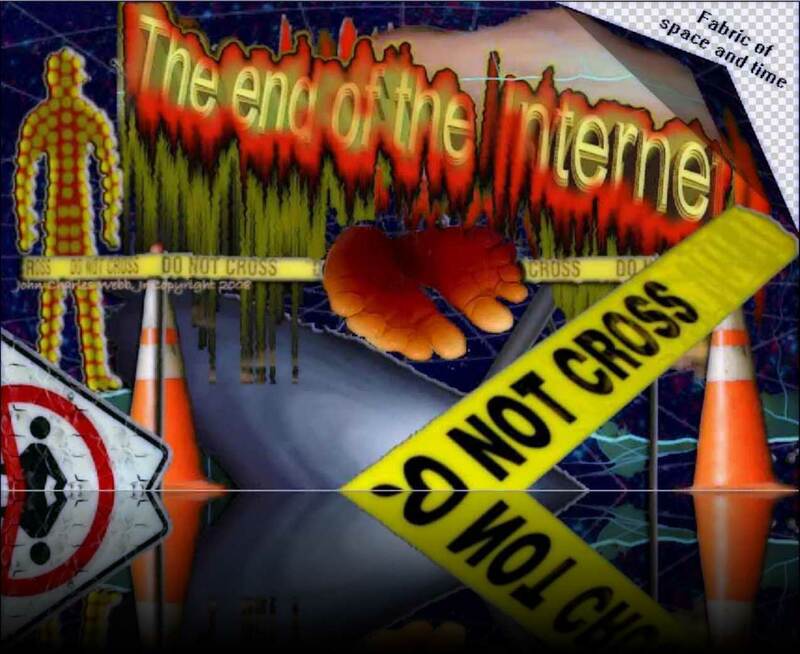 The result was both ironic and nostalgic, like a last stand for the unkempt wilderness the internet has been. As I mentioned on Olena’s post, it occurred to me the other night that lawlessness can be extremely beneficial to intelligence and the rapid growth of culture, particularly when it comes to the vast databases of music and movies we’ve stolen for our edification and enjoyment. It also struck me that those who’ve directly benefited from this lawlessness are simultaneously the most marketed to generation in history and a generation that’s probably stolen more merchandise on a whole than any other group of people living in a semi-functional society. But I’ve had a distinct sense for the past few months that the internet is no longer the frontier, that it’s well on the way to becoming as practical and depoliticized as the telephone. While cyberwarfare may be making appearances in the newspaper for months or even years to come, it’ll more likely be evidence of governmental meddling than radical uprising. While I don’t get off on illuminati flavored conspiracy theories, the use of Facebook friend photos to generate advertisements, in combination with the Supreme court decision, and Google deleting music blogs without warning has made me extremely aware how easily we can sleep through what promises to be (or already is) a corporate chokehold. While this all seems a little bleak, it’s actually rather refreshing to realize. I’ve been feeling a little coddled by the neverending stream of utopian rhetoric surrounding the internet, which I myself am guilty of propagating, and with good reason! But it seems about time we set our sites on a new frontier. So…what comes after the Internet?